These Mr. Fothergill's verbena compact mixed seeds from Ruddick Garden Gifts have lightly fragrant long lasting flowers in luxurious jewel bright colours. 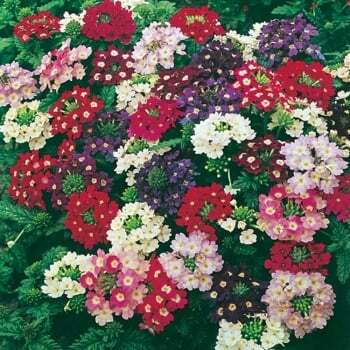 This plant is great for borders, beds, planters and baskets and will flower from June to October. Average of 125 seeds per pack.